A catalyst for changing how city officials and the community viewed public space, Jeevanjee Gardens established the Block by Block Methodology used today. Nairobi, Kenya, home to more than 3 million people, is a lesson in contrasts. The differences between rich and poor neighborhoods is stark, and half of the city’s population lives on only 1.5% of the land area. In these neighborhoods of extreme poverty, residents live in slum-like conditions. HIV/AIDS is a challenge, clean water and electricity are scarce, and children rarely have access to schools. Functional public space is limited. In 2012, UN-Habitat, along with local partners in Nairobi, initiated a community engagement process to identify public space improvements in this crowded city. The first two sites selected were Jeevanjee Gardens, the only public green space in the central business district, and Silanga Field, an open space in Kibera, Nairobi’s largest slum. The development process began with a series of collaborative design workshops with City Council staff and local communities. Minecraft was tested as a community participation tool for the first time in February 2013. By navigating a three-dimensional world, workshop participants were able to express themselves in new ways, and previously sensitive issues, such as the size of a football field at Silanga Field, which had produced several disagreements throughout the process, were resolved. Minecraft allowed participants to easily visualize and even navigate the plans, improving the level of understanding and engagement. Minecraft was also used successfully to communicate the three-dimensional designs at the end of the participation process, establishing the template for the Block by Block Methodology. The first project, Jeevanjee Gardens, has now been completed, adding new pathways, street furniture, waste bins, and entrances. The Jeevanjee community members are fully engaged, and the Planning Department of the City County has requested additional resources in the municipal budget for maintenance and management. Even more importantly, the success of this approach to public spaces has been embraced by the local government as an important political agenda: at the inauguration of the Jeevanjee Gardens, the Governor of Nairobi committed to the revitalization of an additional 60 public spaces throughout the city. The process began with a city-wide inventory of existing spaces, followed by multiple training workshops on how to analyze the data, which will then be the basis for a comprehensive public space strategy. This approach has been since shared with other African cities. 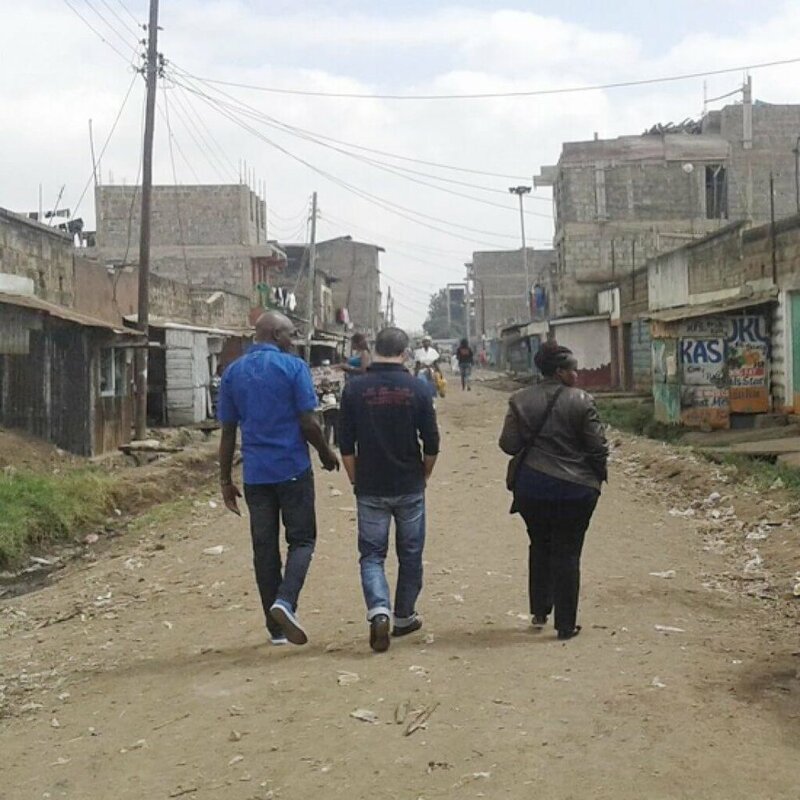 In 2015, another project was undertaken in the Dandora area, a once-healthy neighborhood that had degenerated into an overcrowded, crime-ridden slum. Participants in this series of Block by Block Workshops developed plans for a “model court” and a “model street” to demonstrate how thoughtfully planned streetscapes (including superior building materials, planting of greenery, drainage, etc.) can essentially transform cities. Dozens of courts and streets throughout Dandora that were once neglected and dilapidated have been transformed into colorful places for community members to gather, relax, and play together. Another area in Nairobi that has suffered from rapid urbanization and growth is Ruiru. Unchecked traffic and inefficient roads have led to extremely unsafe conditions for pedestrians, who must fight for space with cars, parked vehicles, and street vendors. The local government of Ruiru agreed to conduct a series of design workshops in 2016, which led to detailed proposals on how best to transform two of the streets into functional pedestrian zones. The newly envisioned pedestrian-only streets include a green canopy, places to relax, and designated spaces for street vendors.